LAS VEGAS - April 2, 2017 - PRLog -- Veterans Village Las Vegas is making strides in its mission to house homeless and displaced United States Veterans and end Veteran homelessness. 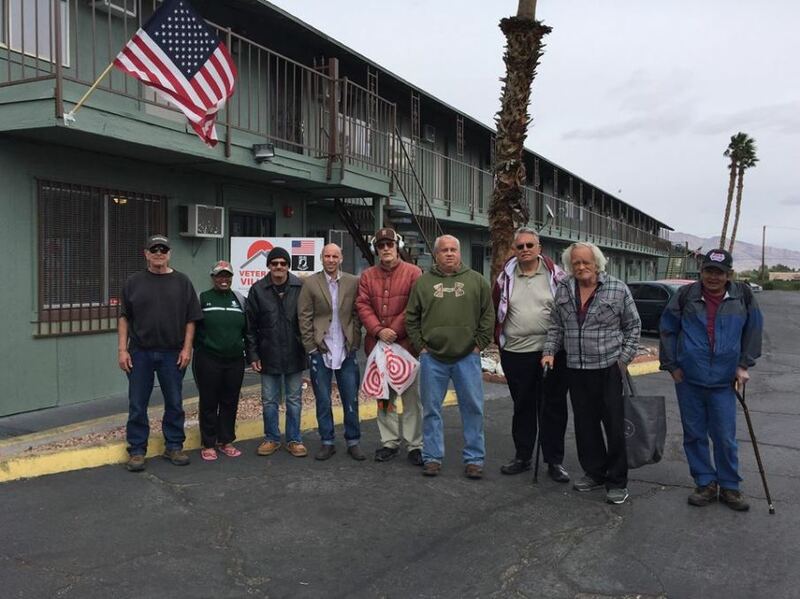 As of March 31st, 2017, the 100th previously homeless veteran has been housed at the second Veterans Village Campus in Downtown Las Vegas located at 50 N. 21st Street, Downtown Las Vegas, Nevada 89101. This achievement confirms the hard work our local partners have been doing to assist our most vulnerable Veterans. The Veterans Village process has been designed to become the leading best practice model to provide services to homeless Veterans. Achieving functional zero and maintaining functional zero are two very different tasks. It requires community partnerships and collaboration at all levels. If you know a Veteran who is homeless or at imminent risk of becoming homeless please contact the Veterans Village Crisis Intervention Hotline at 702-624-5792 24/7/365. Our veterans put their lives on the line for our country, and we can't stand by while some face life on the street. When we opened the second campus in December of 2016 I made a promise that we would reach 50% US Veteran resident occupied by June 1, 2017--We are ahead of our target goal with the 100th Veteran resident being placed on March 31, 2017.